Hear from the NSW Chief Scientist & Engineer, Professor Hugh Durrant-Whyte, at the next Inspiring Australia NSW Stakeholder Briefing on Tuesday 5 February 2019. This will also be an opportunity to find out how to get involved in all kinds of collaborative science engagement programs including Sydney Science Festival and other regional events presented as part of National Science Week. 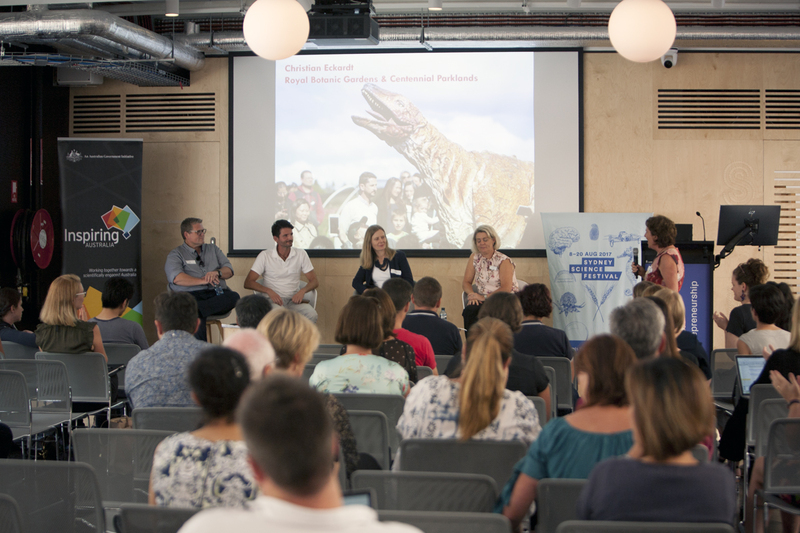 Information will be provided on Inspiring Australia grant funding programs and how to connect your researchers and outreach programs with year-round programs delivered by the network of NSW Regional Science Hubs. Networking drinks will be served from 5 pm at the conclusion of formal proceedings. Please register to attend via this link. We look forward to seeing you there! You are welcome to extend this invitation to any colleagues who may be interested in connecting with the NSW science engagement community and working with Inspiring Australia to connect science and technology researchers to wider audiences. Feature image of speakers at a 2018 Stakeholder Briefing courtesy of David Vagg.